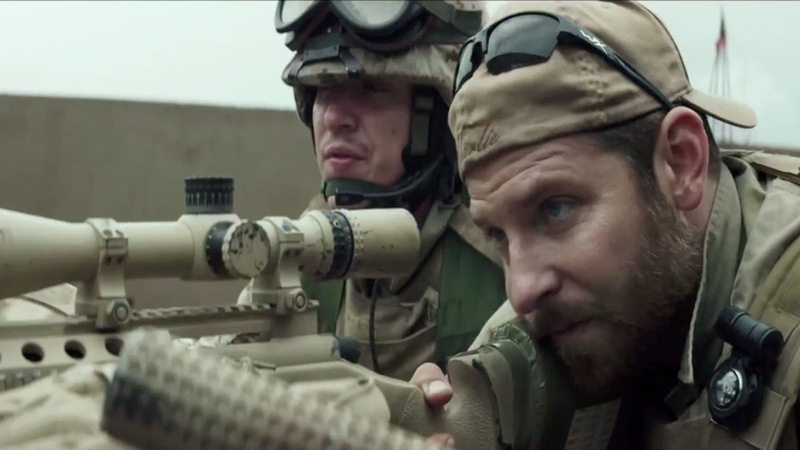 Is America's deadliest sniper really a hero? Millions of Americans undoubtedly think so. If the sound of his sniper rifle rung out over your head when you were serving in Iraq, and one of his precisely aimed bullets saved your life, no doubt you would think so too. But to some, Chris Kyle was a man who killed a lot of people in a country he should never have been in in the first place. He killed these people to save his fellow American soldiers and to protect the country he loved. His tours in Iraq earned him a bounty on his head and the nickname The Devil of Ramadi from those who feared and hated his ability with a sniper rifle. American Sniper is based on Kyle’s own memoir so it gets right under the skin of this seemingly simplistic man. He’s a Texan cowboy told by his father to be a sheepdog rather than a wolf or a sheep. He joins the marines because he sees American embassies being attacked on TV. He shoots to kill with barely a thought for the people, their stories, their circumstances or their motivations in the foreign land he ends up in. He is addicted to saving his fellow soldiers, even if that means sacrificing countless days away from his wife and young children. Bradley Cooper is sensational as Kyle, while Sienna Miller offers memorable support as his suffering wife. It’s a tragic true story with Clint Eastwood keeping things incredibly tense both back home and in the rubble of Iraq. Whether you will feel that Kyle turned out to be a wolf preying on the weak or a sheepdog who protected those in need will be a matter of your personal politics but his motivations, particularly after the war, appear admirable, even if the whole reason for the war remains dubious. The final heart-breaking shots of real footage in the film will undoubtedly unite most in a sense of grief and loss.